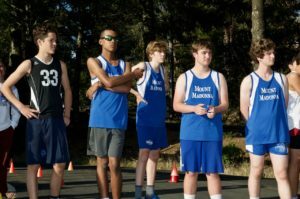 The redwood forest and meadow trails around the Mount Madonna School (MMS) and Mount Madonna Center campus came alive on October 11, with a steady and rhythmic pounding of feet, as more than fifty runners from three local high schools competed in the first-ever Santa Cruz Coast Athletic League (SCCAL) meet hosted by Mount Madonna School – on its mountain campus! 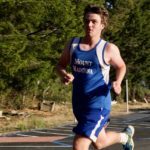 In addition to Mount Madonna’s boys team, boys and girls teams from Scotts Valley and Santa Cruz high schools also participated in the meet. Mount Madonna’s girls cross country team did not compete. Scotts Valley athlete Mitchell Ross recorded a time of 17:41 to place first overall. 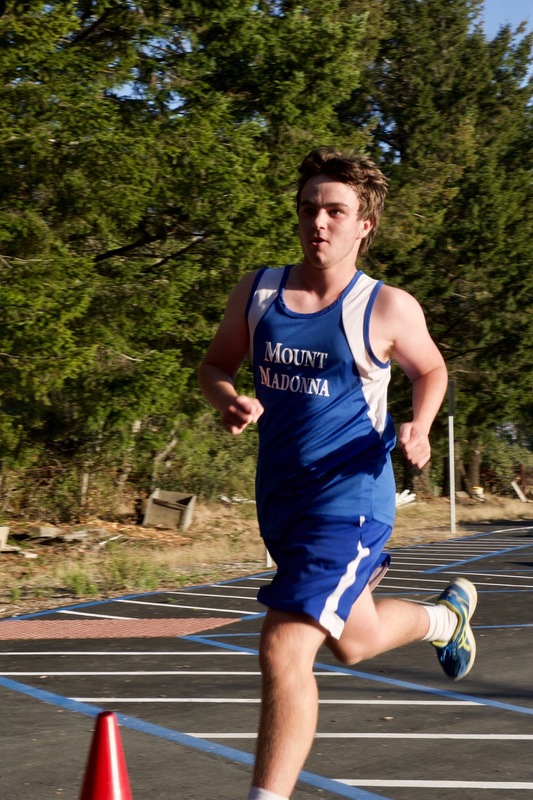 Senior Noah Kaplan (20:34) led the way for Mount Madonna, in 14th place overall. 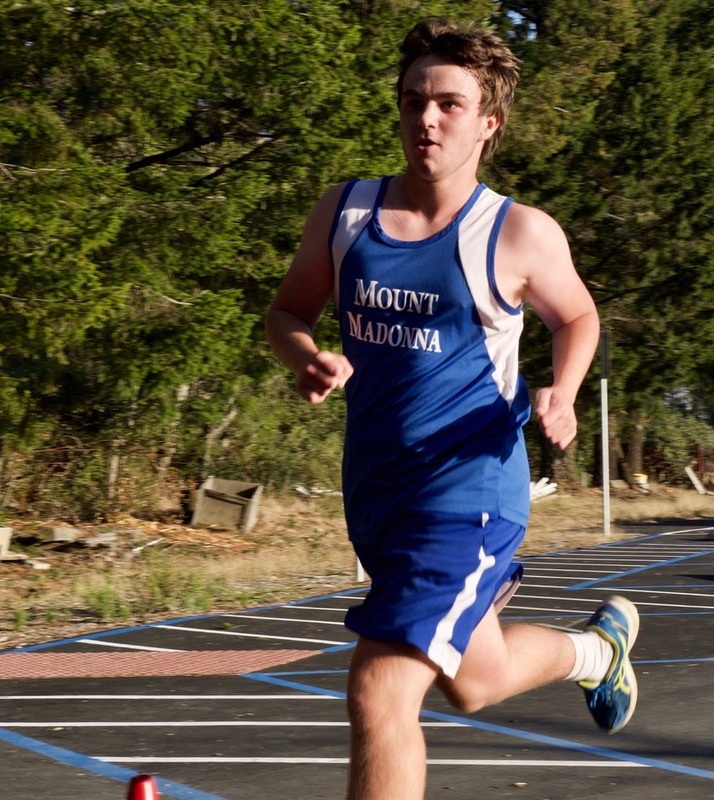 “It was an honor to host our first cross country meet at Mount Madonna School,” commented coach Nick Cabassa. “I’ve been working to make this possible for the last three years, so it has been a long time coming. From measuring the course, to marking and blocking off the side trails, to finding someone to time the runners, this was a giant undertaking that required massive amounts of organization and coordination between several different people. The efforts paid off, though, and as a result, everyone had a good time, and the participating runners and coaches shared many positive comments about our course, and the campus in general. “This event definitely gave us a bit of ‘home-course advantage’,” acknowledged Cabassa, “as no other SCCAL teams have ever run it before. The MMS boys and girls teams spent the last month running, preparing, and training on the course. The biggest challenge in any cross country meet is the difficulty of the course, and our course, with its elevation changes, really gave some athletes a hard time. I am already thinking about how I’ll switch it up next year to keep the runners guessing! Overall, the event was a huge success, and I am very proud of how my team performed. “It was definitely a team effort figuring out the course,” commented senior Noah Kaplan. “We spent a lot of time scouting out different proposals, tracking mileage, and discussing elevation. I think it’s great that we’re getting people up to Mount Madonna for the meets. Our course is one of the nicest ones I’ve ever run, and MMS is really set up to host meets. 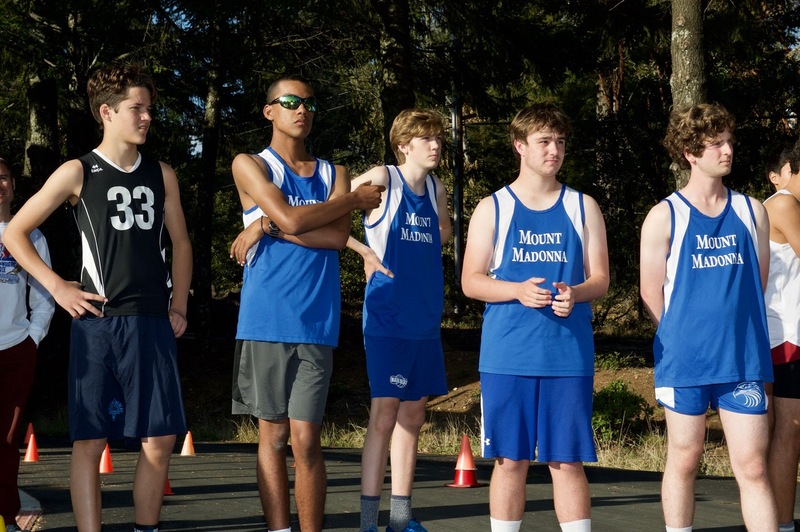 The MMS boys team has qualified and will be competing in the Central Coast Section (CCS) championships on November 10 at the Crystal Springs Cross Country Course in Belmont at 1:30pm. UPDATE, 11/9/2018, this meet has been postponed to Monday, November 12, due to poor air quality.